Join Mathias, an IFMGA certified guide, on an ice climbing adventure on the Eispark Osttirol, the largest ice crag in Austria. Spend one or more days ice climbing on the Eispark Osttirol. Enjoy Austria's largest ice crag. Also spend some time in the nearby resort town of Kitzbuhel. For this trip, which can last for one or more days, I would like to guide you on an ice climbing adventure on the Eispark Osttirol. The largest ice crag in all of Austria, the Eispark Osttirol is an amazing place to enjoy great ice climbing. Since the crag is artificial, it is designed to provide optimal ice climbing. Moreover, because of the crag’s size, there are many routes that are created for people of all skill levels. So if you are a beginner who is eager to try ice climbing for the first time, you can enjoy this crag. And if you are an expert who wants to test and improve on their abilities, the Eispark Osttirol will definitely serve you well. Another great part of this trip to the Eispark Osttirol is its location. It is located less than an hour away from the famous ski resort town of Kitzbuhel. It is also located in the region of Tirol. So don’t be surprised if you end up spending more time than originally planned admiring and possibly exploring the nearby snow capped peaks of the Austrian Alps. While there are climbing possibilities for people of all skill levels, ice climbing is still a physical activity. As a result, it is important that participants are in good physical condition. 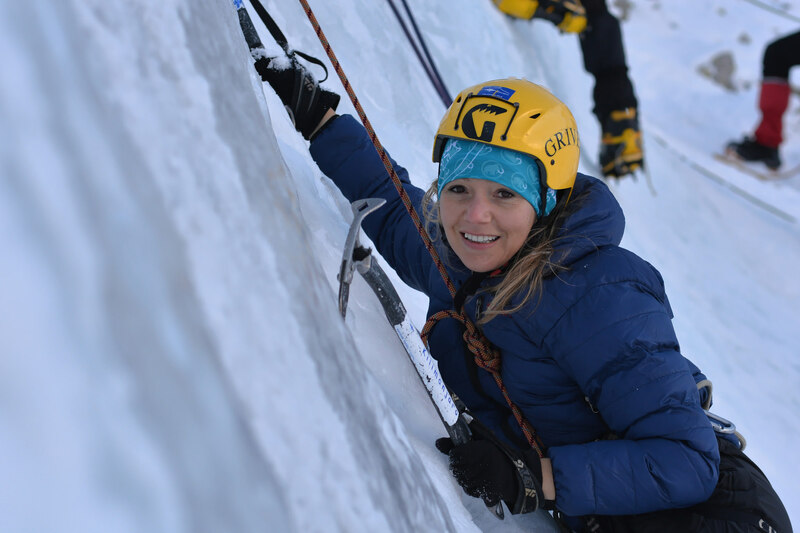 I also offer a half-day taster ice climbing trip at Gaisberg Park, which is also near Kitzbuhel. The price will be divided by the number of participants and also includes necessary ice climbing equipment. There are many comfortable accommodation options in nearby Kitzbuhel that I would be happy to recommend to you. 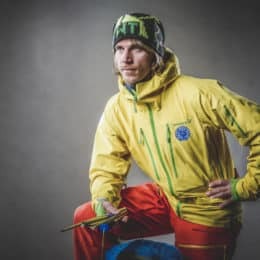 I'm a mountain guide from Austria based in the region of Sankt Johann in Tirol. 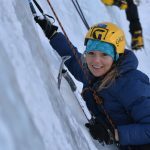 I'm guiding mainly in my country, mountaineering and climbing in the summer and ski touring, freeride skiing and ice climbing in the winter. Please get in touch with me if you wish to come here and enjoy some unique time in the mountains guided by a local expert. We had a wonderful day skiing down to Fiberbrunn with our guide Mathias Leo. He found deep light powder snow. was mentioned “the guide has all needed safety equipment”, but after booking the guide then specified you needed to provide your own skins for the crosscountry walking etc., which was news to us). The rest was perfect! level. And that’s is what you get from a good guide, he have to quickly find the right level for the group. Made the day wery exiting but safe. We did a lot of steep skiing and some steep booting but felt safe all day. We used skins to get the best areas, and some booting with ski on backpack. Recommended to get to the best areas! Our best reviews for Mathias! We had a great day skiing with Mathias Leo and his collegue in Fieberbrunn. I can strongly recommend them! mountain. Certainly not the last time with explore-share, and the guide Mathias Leo. Thanks! was very patient, always super helpful and encouraged me to get better and better. He took me to great spots for climbing routes that were doable but not easy for me and I felt very safe at every moment. He is also just a super nice and patient guy and I would go climbing with him again anytime! the United States all I asked was for a true Austrian Alps climbing experience. The first day we spent multi-pitch sport climbing up to grade UIAA 6+. Such and amazing day on bullet proof limestone. The second day I got to experience alpine climbing that started with a two hour hike up a hanging glaciated valley to one of the classic routes. I highly recommend arranging a climbing trip with Mathias. I will guarantee you will be exhausted at the end of each day with a huge smile on your face. It was truly an experience of a life time and next time I am in Austria I will be booking another adventure with this group.